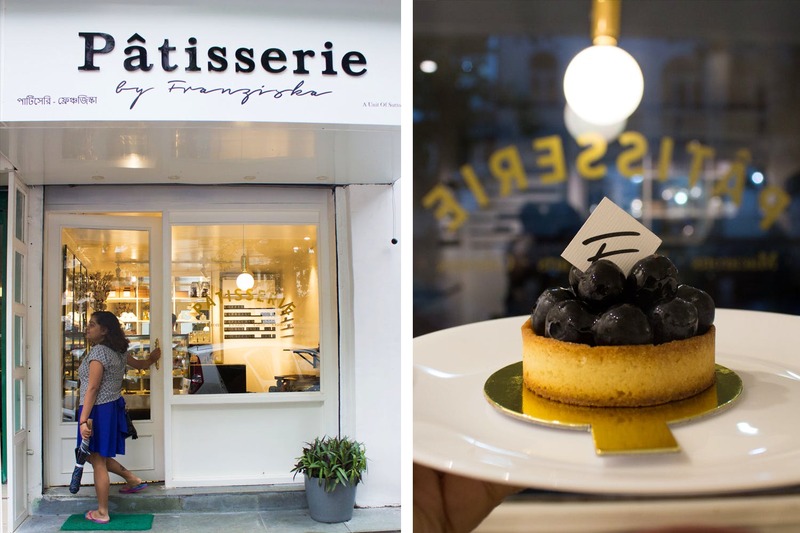 A quaint new patisserie has opened up in the city, but have you spotted yet? We have, and here’s all the deets you need to know to enjoy its European treats and fantastic coffee. Walk down Russell Street until you near The Good Companions, and voila! You’ll find a beautiful little white front patisserie that’ll remind you of one of those European ones. German lady Franziska Marie’s quaint little store in pristine white is true to its essence and has some of the best European treats and coffee in the city. The three-seater area with black wooden tools offsets the white walls. Sit by the large glass doors and it’s a perfect nook to enjoy a cuppa and a book and watch life go by on the street outside. They have a huge range of indulgent treats — eclairs, tarts, macarons, tea cakes, cheesecakes, gateau and cookies. Made from fresh and premium ingredients, Franziska goes to great lengths to keep her treats absolutely preservative and essence free. In fact, her macarons are even gluten free. While at Franziska’s, you’ve got to try the vanilla eclair (gorgeously rich with vanilla) and the Belgian dark chocolate tart (made with 70% dark Belgian chocolate from Europe). For the sake of freshness, most of her treats are seasonal – like the alphonso tart and cheesecake. Delicious European treats and soul-stirring coffee at reasonable prices – doesn’t that just tick all the boxes? We can't find anything to fault here. Everything is perfect. Only wish there was a bit ,more space so we could hang out here often! Nothing balances out the sweet palette of pastries like a good brew of coffee. Franziska’s experience of working in Europe as a barista means you can be certain you’ll be served some amazing coffee here. And the best part? They make the coffee with premium Blue Tokai beans. You’ll also get a serve of cold brew coffee made either dark or with a side of vanilla cream.